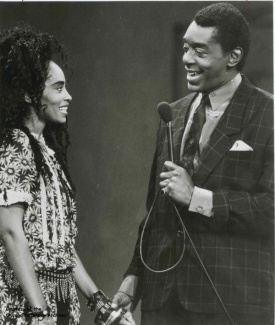 Jody Watley on Soul Train in 1988 with Don Cornelius. 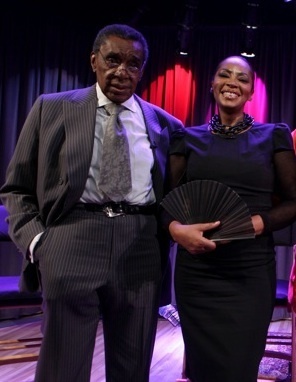 Don Cornelius represents an incredible and unparalleled legacy in television, music and dance that will live on forever. Don and Soul Train shined a bright and historic light for our culture. A true visionary, icon, legend and pioneer in every sense; his impact on black pride and aspiration in youth like myself was immeasurable during the peak of Soul Train in the 70’s. Don created, built and opened a door of inspiration, hope and opportunity for street dancers and artists to walk through – especially me as my career has always been intertwined with the show because it’s where I got my start. It’s incredible to know he started the show in Chicago with just $400.00 of his own money. 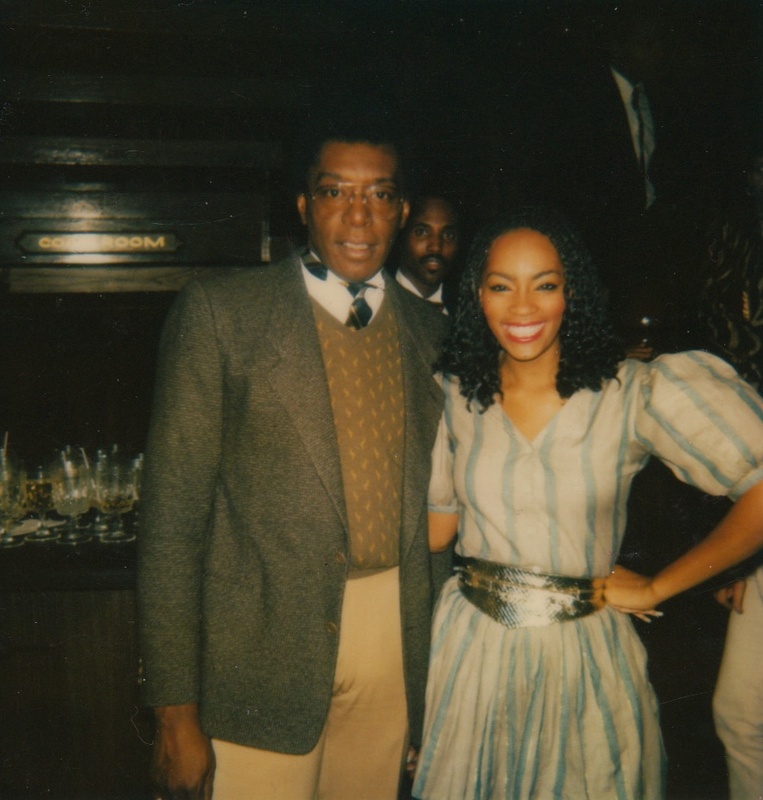 What many don’t know is that my father and Don Cornelius knew each other as they were on the AM airwaves in Chicago at the same time when I was a baby; my father doing Gospel and Don Cornelius as a part-time news announcer. I didn’t learn the connection until after I was a dancer on the show. In essence Don Cornelius was already in the fabric of my life before our paths would eventually line-up. Like most black kids in the 70’s Soul Train gave my friends and I something to look forward to on Saturday and to talk about at school on Monday. 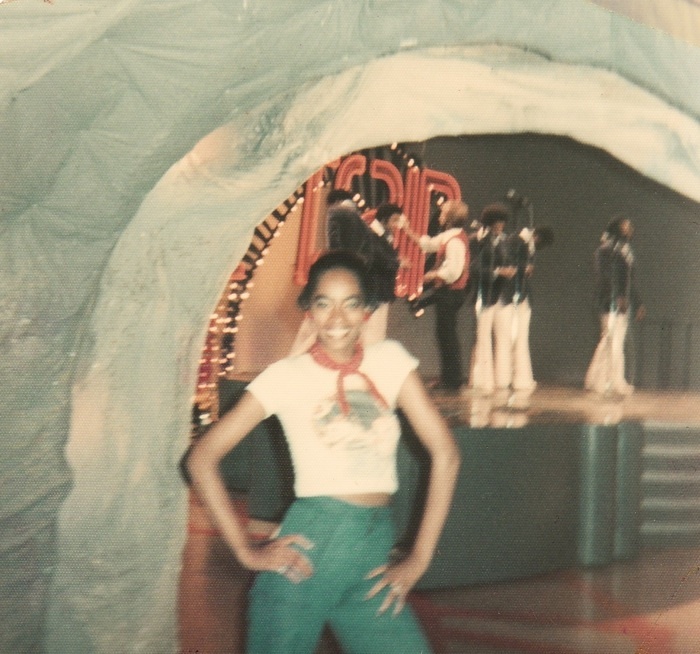 If you wanted to know what was cool in style, the latest dances or to see new and established artists – you watched Soul Train and lived to see the Soul Train Line. As a dancer on the show, you lived to come down the line. Whether rocking afros or flamboyant fashions; it was with pride as it was framed in a positive light also evidenced in the ads tailored for the show. I thank God for Don. Millions of us lived for Soul Train helping to make it the longest syndicated music television show in history. Soul Train was a vehicle of exposure for countless artists in music when all other doors remained (and to a degree remain) closed. If you made it on Soul Train, you’d arrived. As I’ve had the opportunity to travel the world as an artist – I’ve seen how far and wide the reach was. The last time I saw him was at The GRAMMY Museum in 2010 for the 40th Anniversary of Soul Train. I reminded him again how much I appreciated him and how thankful I was. 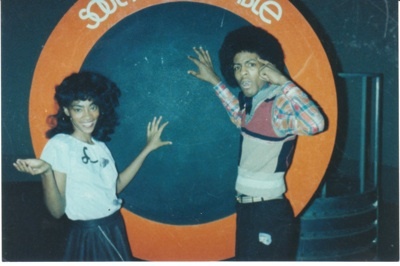 I owe so much to Don and Soul Train. 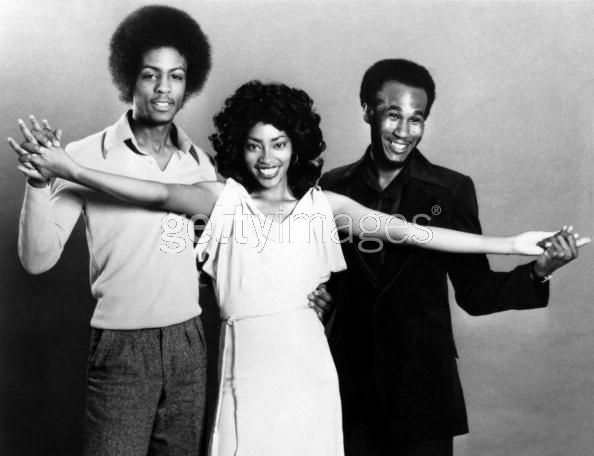 It was Don who hand-picked me for Shalamar when forming Soul Train Records and he remained supportive throughout my solo career. 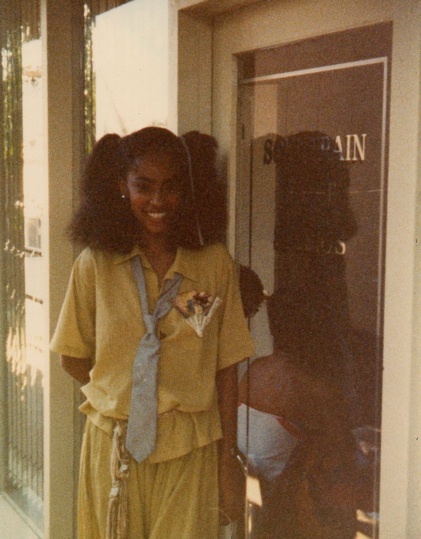 Jody Watley at Soul Train Dance Studio, Los Angeles. Ever the champion of dance, Don Cornelius opened The Soul Train Dance Studio in the late 70’s in Los Angeles on LaCienaga and selected me to be one of the instructors. From that, I had the honor to give private lessons to ‘The Queen of Soul’ Aretha Franklin, teaching her ‘The Robot’. Subsequently, she asked me to be in her concert at the prestigious Dorothy Chandler Pavilion while she sang her classic ‘Natural Woman’. Aretha Frankin wanted me to represent the role ‘entertainer’. Each girl represented a different facet of being a woman; executive, mother, and so on. To say it was an honor to be onstage by personal invitation of the ‘Queen of Soul’ is an understatement. 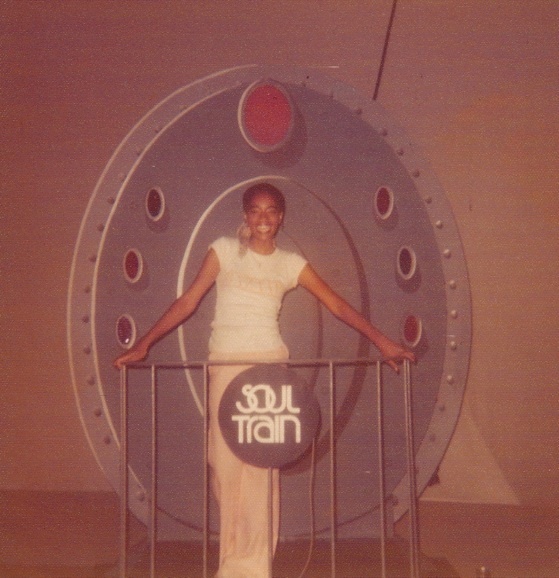 It was another moment I’ll never forget thanks to Don Cornelius and Soul Train. My heart is truly broken to learn of Don’s death and passing. My heartfelt condolences go out to his family, friends and those like me who loved and appreciated him for all that he represented and achieved as the first African-American to create, produce, host and OWN his own show. To be honest, as much as I admire Oprah Winfrey, I was disappointed that she never had Don on as a guest for her show, especially when the documentary for VH-1 “The Hippest Trip In America” aired. It would have been great and he deserved it. 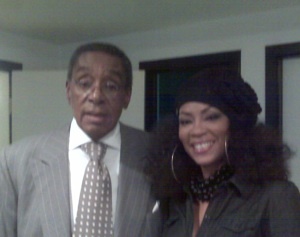 Don Cornelius let us know that black is beautiful and sent us off wishing love, peace and soul. In his departing, I’m wishing him the same. Cheo Hodari Coker, Smokey Robinson, Jody Watley, Cuba Gooding Sr. Don Cornelius, Questlove of The Roots at Paley Television Center For Media, in 2009. Rest in Peace Don Cornelius.